Navigating the complexities of the court system when addressing family issues may be stressful and daunting. The stakes are high, since decisions made during this process may affect the lives of your children and the ownership of your assets. Nashville divorce lawyer Amanda Raye Thornton represents people throughout Middle Tennessee with vigor and compassion. Our goal is to use our experience to provide affordable representation across a broad spectrum of family law matters. This starts with a free consultation to discuss your specific needs. Amanda was born and raised in Middle Tennessee, and she is dedicated to serving her neighbors in their times of need. She is particularly committed to advocating in the area of fathers’ rights, assuring that fathers receive proper custody and visitation rights regarding their children. Amanda recognizes that biases favoring mothers over fathers have no place in modern society, and children have a brighter future when their fathers play an important role in their lives. Our local office takes pride in responding promptly to each of our clients, handling inquiries within 24 hours and keeping them regularly informed of the status of their cases. Under Tennessee law, a divorce may be obtained on multiple “fault” grounds. However, Tennessee also provides the ability to get a divorce on an uncontested, “no-fault” basis if there are irreconcilable differences between the spouses or if a couple is separated for two years or longer and no minor children are involved. Generally, either one spouse or the other must have resided in the state for at least six months prior to filing for the divorce. The time frame for an uncontested divorce is shorter than for a contested divorce. An uncontested divorce may typically be obtained in about two to six months, depending in part on whether children are involved. There is a 60-day cooling off period running from the filing of divorce papers to when the parties will be heard. Contested divorces may take much longer, depending on the extent of the dispute between the spouses. Unless there is an agreement between a child’s parents, a Tennessee family court may award custody of a child to one parent (sole custody) or to both parents (joint custody). In arriving at its custody determination, the court is required to consider the best interest of the child. There are many factors that go into this assessment, and a court has substantial discretion. Child custody arrangements may be changed under certain circumstances, such as when a parent who has custody chooses to relocate with the child. Some distinctive issues may arise with regard to LGBTQ couples who are going through custody disputes, and our Nashville divorce attorney has the knowledge and skill to handle these issues as well. Tennessee law recognizes that parents have a legal obligation to support their children. Child support covers basic expenses such as food, clothing, transportation, and health care insurance. Under some circumstances, a non-custodial parent may be ordered to help bear the burden of additional costs, such as when a child has special needs. Child support is determined by referring to guidelines provided by the Tennessee Department of Human Services. These are based on the income of the parents, how often each parent has the children, and the number of children being supported. The Tennessee Department of Human Services’ Child Support Program works with custodial and non-custodial parents to ensure that the financial needs of the child are met. The Child Support Program provides services for the collection and distribution of payments. There are multiple types of alimony that may be ordered in divorce proceedings. Rehabilitative alimony provides a period for the disadvantaged spouse to regain the economic and material status that they enjoyed during the marriage. Courts may also order periodic alimony, through which the recipient receives ongoing support. Another form of alimony is transitional alimony, which is paid for a set period of time. Courts may also award alimony in solido, which is a lump sum payment instead of or in addition to these other types of alimony. Fathers’ rights under Tennessee law include paternity and custody rights. Paternity is the right to determine who is a child’s legal father, and custody concerns the raising of the child. After establishing paternity, the law imposes a duty on fathers to care for their children, which may involve paying child support to the child’s mother if the father and mother are not married or living together. Child support may also be imposed on a mother in instances in which a father is awarded custody. The rights of both fathers and mothers may be affected by their actions. For example, a court may award one parent sole custody rights, limit their custody rights, or order supervised visitation if the other parent has a documented history of child abuse or domestic violence. While courts extend considerable deference to parental decisions, grandparents still have rights under Tennessee law. Grandparents include biological grandparents, spouses of biological grandparents, and parents of an adoptive parent. If the court’s determination is favorable to a grandparent, visitation may be ordered at a frequency set by the court. Tennessee law requires that the Department of Children’s Services (DCS) investigate child abuse allegations when a report is received that a child has been or is being abused. A child may come into the legal and physical custody of the state if the child is found to be neglected or abused, or if they are found to be delinquent, as these terms are defined under the controlling guidelines. Juvenile court judges decide, often in consultation with DCS, whether and when a child should be brought into state custody, and they also rule on whether and when a child may leave state custody. Juvenile dependency and neglect issues are fraught with complications, but our lawyers have experience handling their nuances and can provide guidance tailored to your needs. Tennessee judges may issue orders of protection. These orders are effective for a one-year term and may be modified by the court. A protective order may be issued to address abuse, threats, stalking, or other situations that cause people to fear for their safety. They often arise in domestic violence cases. Our experienced attorneys can help you with temporary and extended orders of protection. Under Tennessee law, any person over 18 years of age who has been a Tennessee resident for at least six months may adopt a child. (The residency requirement may be waived under certain circumstances.) Any legal concerns surrounding an adoption center around the well-being of the adopted child. There are also protections for birth mothers. The Tennessee Department of Child Services provides resources for prospective parents. We can offer legal guidance to people who are considering an adoption or are otherwise affected by a prospective adoption. Mediation is a process available in Tennessee for resolving disputes consensually. A mediator is not there to judge but instead to help people involved in a legal dispute communicate productively. The goal is to assist them in arriving at a mutually acceptable resolution, avoiding or reducing judicial intervention. Mediation is sometimes court-ordered in divorce cases, and it may be a way to reach a satisfactory outcome in a less contentious and costly manner. We can help ensure that your rights are protected, no matter the complexity of the situation with which you are confronted. 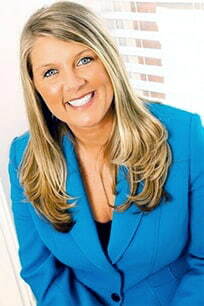 Amanda Raye Thornton works with our clients within their financial means. As a Nashville divorce attorney, she offers a free consultation to assist you with learning about your legal options and how we may be able to help you. We also represent people who need a fathers’ rights lawyer or advocacy in any other type of family law matter in Clarksville, Murfreesboro, McMinnville, Franklin, Brentwood, Lebanon, Fayetteville, Lewisburg, Springfield, and Columbia, as well as other areas of Davidson, Montgomery, Rutherford, Warren, Williamson, Wilson, Lincoln, Marshall, Robertson, and Maury Counties. Call us at (615) 804-6684 or (615) 244-6438 or contact us online to get started. Whether you're a new or existing client, we'll respond to you within 24 hours. We serve clients throughout Tennessee including those in the following localities: Davidson County including Nashville; Lincoln County including Fayetteville; Marshall County including Lewisburg; Maury County including Columbia and Mount Pleasant; Robertson County including Springfield; Rutherford County including La Vergne and Murfreesboro; Sumner County including Cottontown and Gallatin; Warren County including McMinnville and Morrison; Williamson County including Brentwood, Fairview, and Franklin; and Wilson County including Lebanon, Mt. Juliet, and Watertown.